Just a heads up the tennis courts at Mariposa are closed until next week. The closure is to accommodate the installation of the new tennis and basketball nets. Please let me know if you have any questions or if you receive any call feel free to forward them to me. As discussed previously, the Area F Parks Commission put money in the 2015 budget for a washroom in Selby Park. It makes little sense to have a park in a rural setting without a few basic amenities. We believe the washroom (and water bottle fill station) will be well received by the young families, horse riders, and mountain bikers who routinely use the park. One decision we did make earlier in the year was to go for a fully serviced toilet and sink rather than an outhouse. Outhouses are cheaper but, let's face it: they are disgusting. 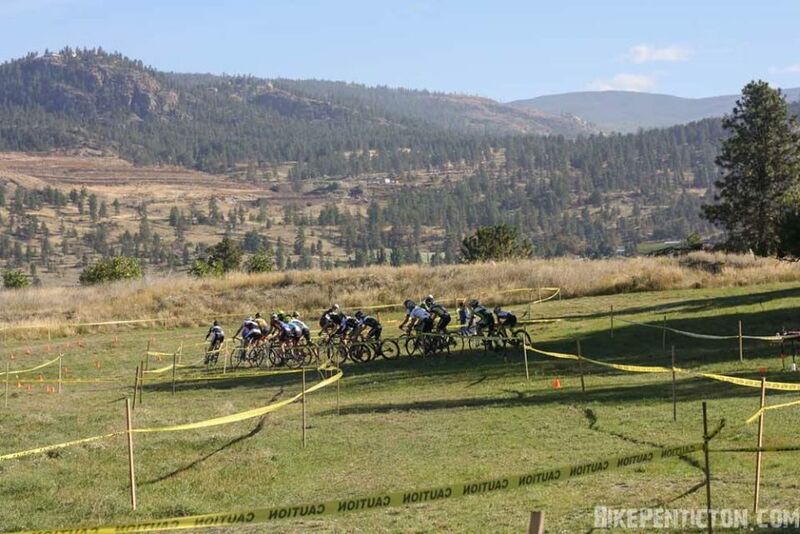 Details: Vortex in the Vines is PACA's annual cyclocross race and race #3 in the Interior Cross cyclocross series. This year we have an all new course at Selby Park and the Prowse vineyard on Penticton's scenic West Bench. The course will feature the return of the vortex and a loop through the vineyard. Nice to see our park and the RDOS-owned property adjacent to the West Bench water tower used for this event. But if you are in the habit of taking a Sunday stroll in this area you should keep your head up! Please find attached photo of the gate that we installed this weekend at the south end of the riding ring. Thank you so much to Stu Kulak who did most of the work, had all the right tools and made sure it was stronger than Fort Knox!!! The addition of the gate at the south end is to encourage riders to use the road up to the ring (not ride through the park), and they now have options of entering the ring from the south end or riding through the trees to the north gate. More raking and leveling at the south end gate is probably still required, so maybe someone else can pitch in to assist. The Area F Parks Commission has helped in the past fund some of the upgrades to the riding ring. It is gratifying when the users of the facility invest their own time and energy into this unique neighborhood asset. An Easter egg hunt has been held in Mariposa Park since the mid-2000s. The hunts were originally organized by Lisa MacDonald with help and contributions from many others. As Lisa's kids have outgrown this, we have sought other ways to keep it going. In 2015 Heather Allen, chair and long-time member of Area F Parks Commission, sought to establish the Mariposa Easter Egg Hunt as an on-going project for Leadership students at Pen-Hi. It was, by all accounts a huge success. The Area 'F' Parks Commission has prioritized some kind of bathroom and a water station (for drinking, filling water bottles, etc.) for Selby Park. This could be an outhouse (pictured) or something more elaborate with its own flush toilets. Of course, flush toilets require a septic fields and a septic field is more money. This is early stage. More information about costs and alternatives will be posted as it becomes available. At this point we are looking for thoughts or ideas on this. The sign for the Bud Butler Equestrian Area (at the west end of Selby Park) was installed today. It was donated by Structurlam. The purpose of the sign is to draw residents' attention to the fact that we have a very nice public riding ring in Selby Park. Horse owners on the West Bench make frequent use of the facility.